I almost typed a little about Zarina Begum in the P.S. to my last post – the one on the Dalrymple books. I had said that a few references from songs and films had made me think about Zafar, and this was why I grabbed Dalrymple’s book The Last Mughal. 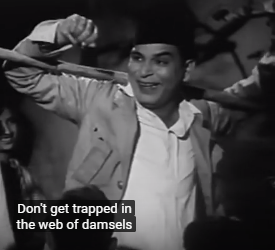 I had thought a lot about Zafar, actually, after writing my post about the ghazal (and thumri) singer Zarina Begum and her performance of the song Nazar Lagi Raja Tore Bangle Par. 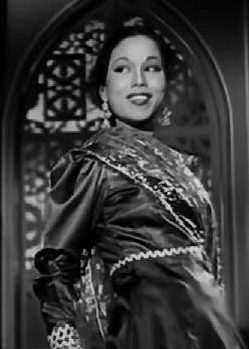 Zarina Begum (and a few others) had attributed this song to Zafar, though most people attribute it to the people given the credit in the 1958 film Kala Pani. Given what I have learned about Zarina Begum, I strongly suspect that her claim was correct. As I said in that post from last December, there were a few articles and documentaries about Zarina floating around in 2015 and 2016 but, unfortunately, they all focused more than anything on the facts that she had fallen into obscurity and poverty, that her family was living in poverty, and that she was very ill but could not afford all the healthcare that she needed. I found out that a little after all this news came out, she did get some help from arts organizations and some money from the government as well, but I could not find anything in terms of updates on her condition, and I said in my post, “Now that a couple of years have passed since all this information came out, I hope that she is still alive.” And that was where everything stood at the end of 2017. Zarina Begum, the last disciple of ‘Mallika-e-ghazal’ Begum Akhtar, and the only torch-bearer of Baithak Gana, died of a chronic kidney disease at a private city hospital at around 8 am on Saturday. This is sad, but I’m glad she had a little more time than people expected and lived to the age of 88 (which seems pretty good, considering what she went through). I have to stress here that I was really impressed with her singing in the clips that I shared in my post last December. I actually enjoyed her performance much more than Asha Bhosle’s playback performance for Nalini Jaywant in Kala Pani. According to a documentary that I viewed, Zarina was 82 when she sang the version of “Nazar Lagi Tore Bangle Par” that I posted. I think some people insist that she had to be a little younger, but in any event, even if she was in her 70s, that was still very impressive. While looking for more information on Zarina Begum, I found a great tribute to her from 2007 at Last.fm. This short tribute is actually a preface to contents that are linked to at MySpace which I cannot access (I don’t know whether it’s because they’re outdated, because I’m not a member of MySpace or because of other, technical problems). Nonetheless, the preface, all by itself, made the visit to Last.fm more than worthwhile. Bessie Smith is eternal. I am a big fan of Odetta and Nina Simone. For many months in 2003-2005 all I heard was Mazzy Star because Hope Sandoval is a cure for pain. But there is a singer from my hometown of Lucknow, India that is right up there with all of them. Her name is Zarina Begum and you will never hear her songs or her story. She is a master of the “ghazal,” the traditional love song sung in Urdu, a north Indian language. It might be an unfamiliar sound to you but anyone even casually conversant with the technicalities of singing can tell she is a gifted, poetic, songstress. Once a star in the 60s and 70s, a series of misfortunes and the callousness of an unappreciative bourgeois citizenry have forced this enchanting woman to a life of obscure poverty. And with regard to damage done by the marketplace, I love a point at the end of the paragraph, where Nusrat Durrani says, “a series of misfortunes and the callousness of an unappreciative bourgeois citizenry have forced this enchanting woman to a life of obscure poverty.” But is it really that a particular “bourgeois citizenry” was unappreciative, or isn’t this just the natural consequence of a certain system that is always run by the bourgeoisie? As long as we live under a system through which everyone’s ability to live decently and stay healthy is greatly determined by money, we’re always going to see stories about artists who had at one time brought great joy to people falling into terrible states of poverty and ruin. From my perspective, the stories seem particularly, jarringly frequent in the history of film stars and musicians from India and Pakistan (ironically, as best illustrated in the lives of some people who had their peak at a time when India was supposed to be socialist and many of the popular films preached against the evils of capitalism), but they are not unheard of in the U.S., either. I think that here in the U.S., the system somehow established greater economic safeguards for people who became successful in the entertainment world (though many are obviously subjected to terrible social pressures until they end up killing themselves in one way or another – also not an unusual story in India). But the U.S. is also a place where people who have slipped a few times for one reason or another might end up homeless and often can’t pay their medical bills. I was glad to see that Zarina Begum survived a few years beyond the dire messages that were circulating in 2015 and she did live until a decent old age. But since being exposed to the story that was circulated a few years ago, I so much wish that she could have lived a better life. First Pritha revived the conversation about the magnificent Sitara Devi “snake dance” in the film Anjali (1957). In a comment on June 14, she identified this film as an adaptation of Rabindranath Tagore’s Chandalika. This inspired me to look for (and post) a good description of the whole plot line of Chandalika as well as guess where in the plot the dance had to have fit, and Pritha confirmed my guess and elaborated upon it. And so, thanks to this exchange that occurred in June of 2018, we greatly improved upon a post that originally went up in April of 2010. 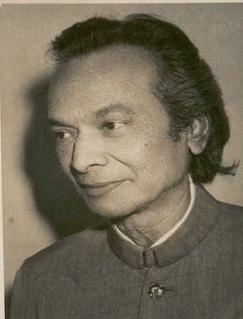 Pritha also sent an invaluable comment to my nearly ten-year-old post on Uday Shankar’s Kalpana (1948). Apparently, over at Indiancine.ma, they have posted the Scorcese-restored version of the film, with English subtitles. This isn’t the copy that I saw there – or on YouTube – before. All prior copies that I could find online (after a long time of not being able to find any) were far less easy to look at and didn’t have subtitles. And I have now watched pieces of the restored version (here and there), and the dances look beautiful, indeed. Maybe I’ll find a way to write this film up soon. Thank you again, Pritha!